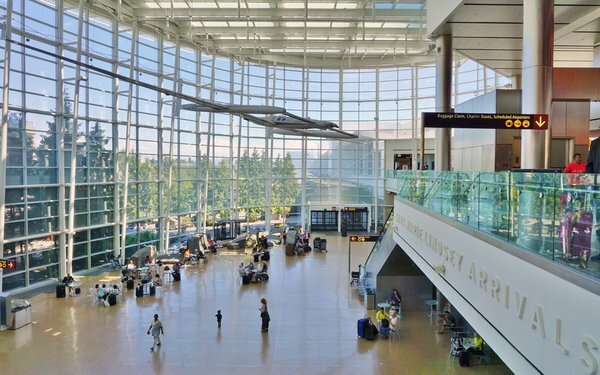 Port of Seattle is entering into a 10-year agreement with Clear Channel Outdoor Americas' Clear Channel Airports (CCA) to serve as the exclusive media advertising provider for the Seattle-Tacoma International Airport (Sea-Tac). CCA has been the display advertising provider for the airport since 2007 and won the new contract after a competitive review. The program will introduce several interactive technological and digital networks, including ceiling-suspended LED high-definition video walls, each more than 100 square feet in size. There were also be a baggage-claim digital LCD network. CCA's Port of Seattle contract pays out in one of two ways. CCA sells advertising throughout the airport, so it would earn a percentage of the sales the OOH advertiser makes with a minimum payment of $4.5 million. However, if 67% of CCA sales are above that number, then the port would receive that number. Sea-Tac, the ninth busiest airport in the U.S., attracts more than 45 million passengers annually. “Creating a consistent look and feel within the media program provides us the opportunity to incorporate our local Northwest sense of place with national and international brands that will ring true for locals and be a welcoming sight for visitors," stated Lance Lyttle, managing director, Sea-Tac Airport. "Both will come to realize there’s even more to enjoy in our region than they might initially realize,” he added.